As an evolutionary biologist I seek to understand how biological diversity is generated at the molecular level. I study a group of South American birds known as capuchino seedeaters, which may still be in the process of becoming species. Capuchinos are sexually dimorphic, and males from different species differ in secondary sexual characters such as the plumage coloration patterns and the courtship songs they use to attract mates. The species of the group are otherwise indistinguishable morphologically (and ecologically), to the extent that females and juveniles that do not present secondary sexual characters cannot be identified. I am interested in using new genomic techniques to locate the genes that are responsible for the differences in these species, with the goal of understanding how these differences could have contributed to the process of speciation. Capuchinos are genetically very similar to each other, yet a small fraction of their genomes shows differences, and many of these areas contain genes that control plumage coloration. The same genomic regions are responsible for the differences between many species, suggesting that selection has acted repeatedly in these areas. The most marked differences in the genomes actually do not contain genes, but are located near them, on sequences that regulate gene expression. I will discuss these findings in the context of how evolution can generate many species in relatively short periods of time. 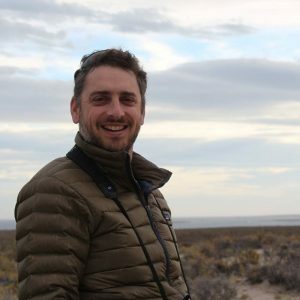 Dr. Leonardo Campagna is a research associate at the Cornell Lab of Ornithology, in the Fuller Evolutionary Biology Program led by Dr. Irby Lovette. He received his PhD at the U. Buenos Aires in 2012. He continues to work on understanding the processes that generate and maintain biodiversity. He uses molecular tools to study the evolution of avian systems, generally in the early stages of speciation.